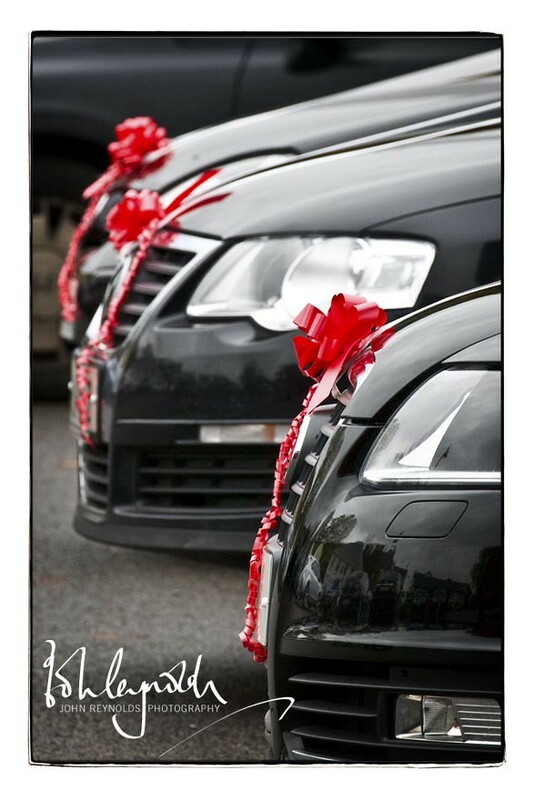 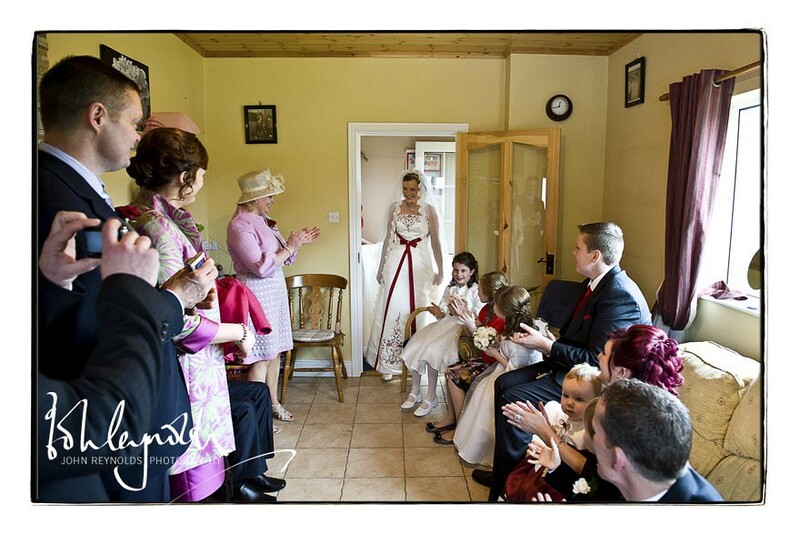 Red was the colour for Marguerite & Noel's wedding - there was a bright splash of it in the bride's dress and even the cars were bedecked in red ribbons for the occasion. 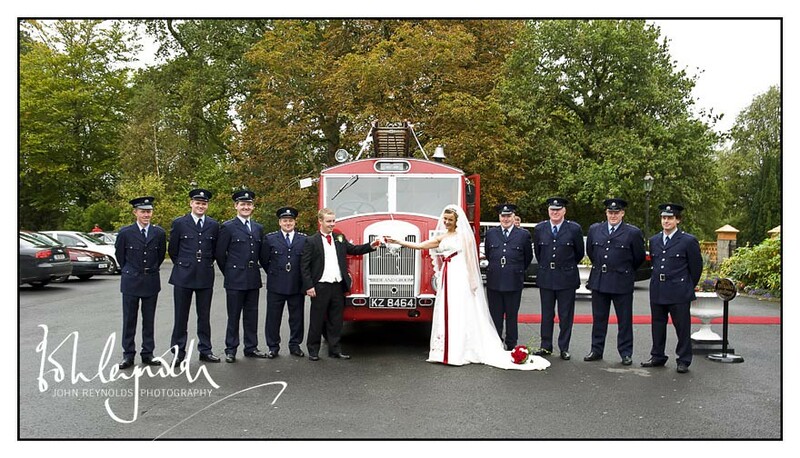 To top it all, Marguerite and Noel travelled to and from the Church in a bright red vintage fire engine. 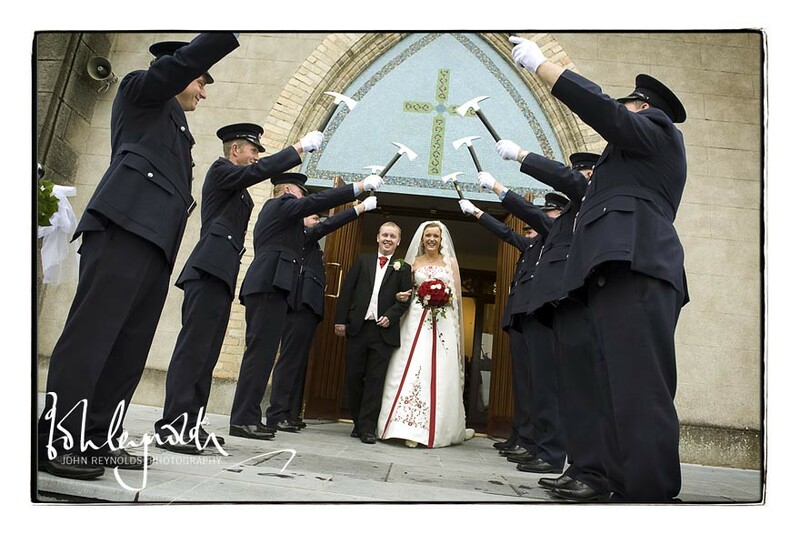 Noel's firefighter colleauges also turned out in full dress uniform to form a guard of honour. 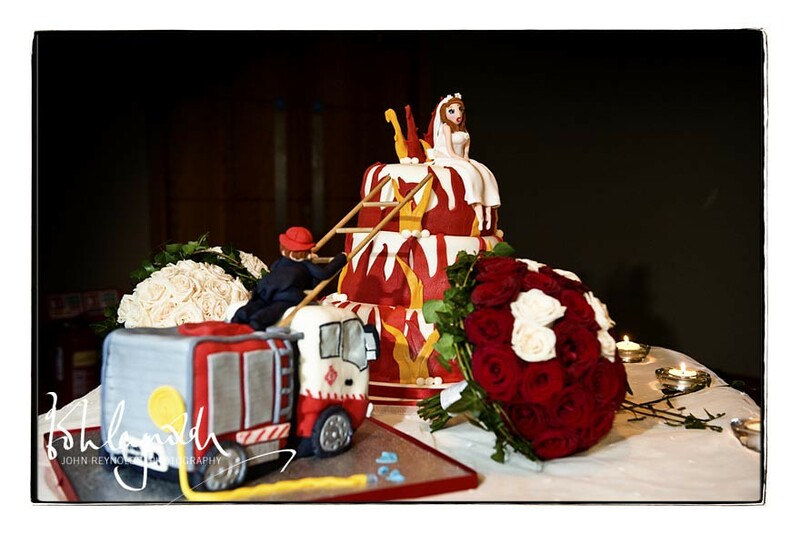 Even the fantastic cake (made by my cousin Lorraine) was fire-brigade themed. 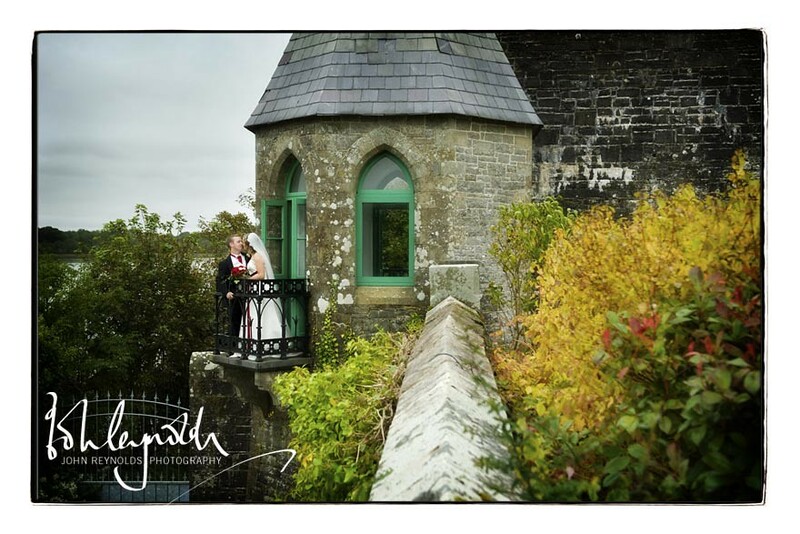 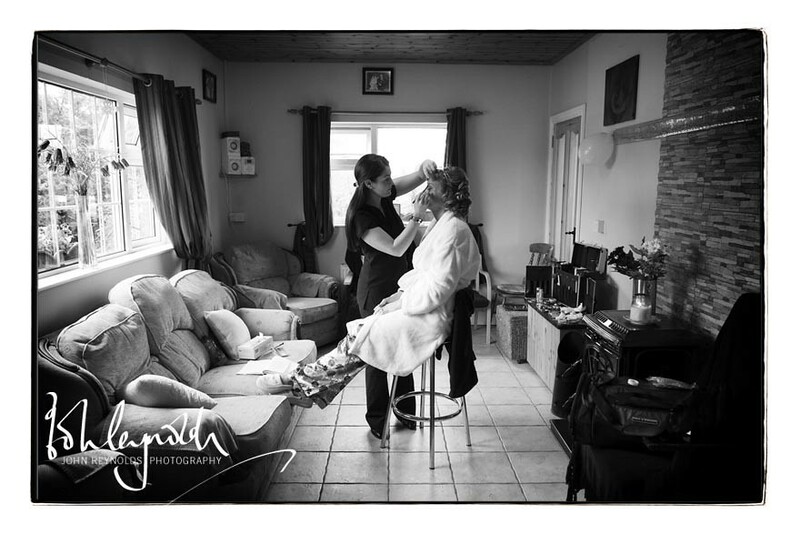 The reception was held in Lough Rynn, and the weather held out for us to get down to the walled gardens. 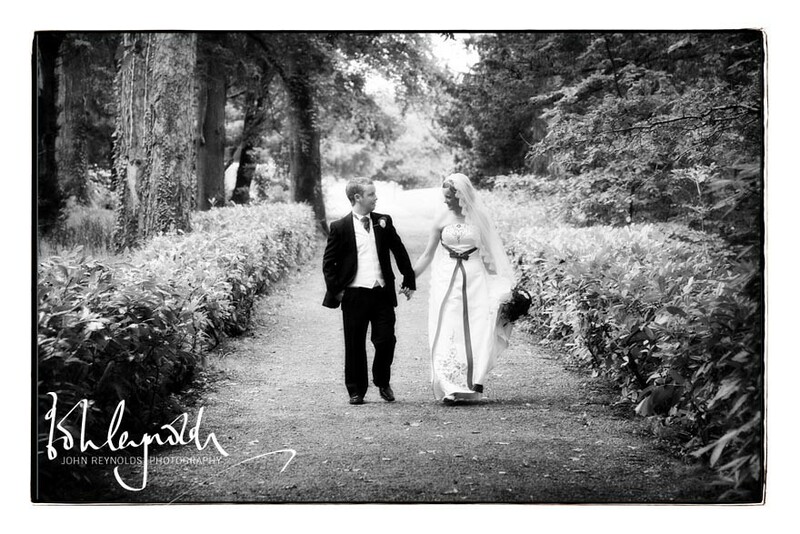 Paul Noone was on video alongside me on the day, our first time to work together, though I'm sure it won't be the last.